Keep building the fun from the video game with this large-scale Minecraftfigure. This 5-inch Armored Up Alex figure features moves unique to herclassic character. 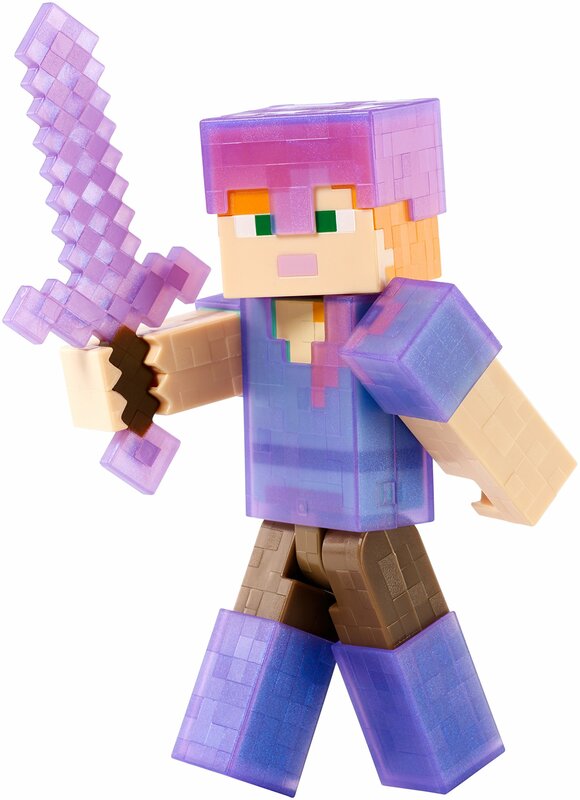 When the mobs get restless, Alex must be ready to fight!Her enchanted armor can be snapped on and off whenever it's time for battle tobring her game-authentic moves to life! Relive your favorite moments from theworld of Minecraft! Collect them all! Each sold separately, subject toavailability. Colors and decorations may vary.